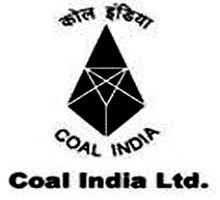 FirstChoice IPO Analysis: COAL INDIA MAY BE NUMBER 1 IN MARKET CAP ON 16-08-11. COAL INDIA MAY BE NUMBER 1 IN MARKET CAP ON 16-08-11. The world’s largest producer of coal declared its first quarter result yesterday, after the closing hours of exchanges. The net profit is up by 64%, in Q1 of FY12, compared to the previous year. Net sales too increased by 27%. Coal India increased the coal prices in Feb 2011 and the full effect of the prices can be seen in next quarters. The company is generating more revenue through E-auction, a high profit margin segment. At Friday closing share price of Rs 385, the market cap is Rs 2.43lac crore, compared to RIL’s Rs 2.49lac crore. RIL closed at Rs 760. Coal India share price will react positively on Tuesday, the next trading day. And even if t moves up by Rs 10, it will in all probability, will replace RIL as most valued company in India. It is assumed here that the RIL share price on Tuesday will stay put where it is or move up not much. While replying the queries raised by our readers on the analysis of Coal India IPO, First Choice IPO had indicated that the Coal India would be number 1 in market cap within 2 years of its listing. That had happened within one year. Labels: COAL INDIA MAY BE NUMBER 1 IN MARKET CAP ON 16-08-11. At 385 how about investing in it for 5 years,what percent might be the returns??? What do you suggest buy at current levels or not?? Dabur,coal india,titan or any other which you would suggest for 5 years investing for best results?